The global PEV market grew 55% in September, to almost 123.000 units, shattering the previous all time record, set last December (103.746 units). Considering this brilliant performance, i think it is safe to say that from now until December ALL months will show six-digit results, surpassing the one million mark by year end seems to be a given, the question will be, by how much? Will sales reach 1,1 million? 1,2? In September, it was all about Tesla and the Chinese models, with the BAIC EC-Series reaching historic levels (9.143 units, new all-time record for a single model) and taking the Best Seller title, followed by the Tesla Model S, also with record numbers (8.110), Tesla Model X (6.123) and Zhidou D2 EV (5.084 units, new personal best). But these weren't the only models to reach personal records, others also shined last month, like the JAC iEV6S crossover, #9 with 3.021 units, and the #10 Chevrolet Bolt, that delivered 2.980 units in September, thus improving its personal best for the fifth time in a row, but on the YTD chart, it is still in #13, and with the Chinese wave coming behind it, do not expect it to reach the Top 10 this year. As for the YTD Top 10, there were significant changes, with the BAIC EC-Series surpassing the Nissan Leaf and rising to Third, presenting itself as a strong candidate for the 2017 Best Seller award, other big news were the Tesla Model S reaching the leadership, profiting from its higher than usual last-month-of-quarter peak performance, possibly thanks to the Model 3 anti-selling campaign, set by Tesla itself. 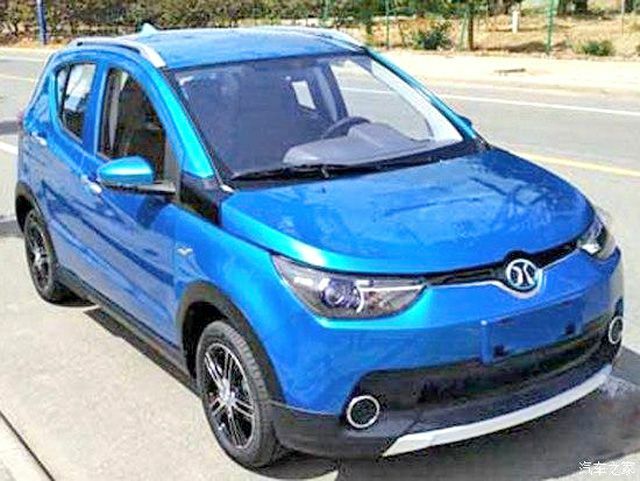 Down below, the BYD Song PHEV surpassed the Chevrolet Volt and is now Ninth, and at the same time the BMW i3 is pushing the Renault Zoe to a corner in the race for #7 and best selling European model. Looking at the BEV / PHEV breakdown, pure electrics continue with 64% share, the same as last year. An interesting factoid is that October signals the crossing of the 3 million PEVs fleet, with approximately 2 millions being BEVs and one million PHEVs in the streets, with the most common plug-in being the Nissan Leaf, close to crossing the 300.000 figure. 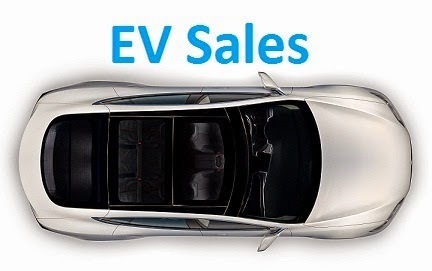 Tesla was the Best Selling manufacturer, setting a new all-time monthly record of 14.348 deliveries, with the following three brands also posting record results: BYD once again (slightly) improved its personal best to 11.786 units, BMW crossed for the first time into the five digits (10.099), while BAIC wasn't that far (9.489) from doing it too. But it weren't just the top selling brands to outdone themselves, two others (Chevrolet and Zhidou) also achieved record results, while Volkswagen did a year best. The German brand is in an interesting position, if on the one hand it has an underperforming Renault not that far away (1.600 units difference), the Chinese Roewe (#11, with 27.174 units, 5.038 of them last month) is slowly, but surely, creeping in closer and showing itself on the VW rearviewmirror. Another proof of the market vitality, it's that with three months to go, half of the brands (BMW, BAIC, Toyota, Chevrolet and Renault) in this Top 10 have already beaten their whole 2016 performance, with the most impressive performance belonging to BAIC, already 16% above last year result, adding 7.000 units more this year than in the whole of last year. The European passenger plug-in market returned from the holiday season with fully charged batteries, growing almost a third (+32%) regarding the same period last year, by registering some 33.700 units, just a whisker below the all-time record of December 2015 (33.827) which, let’s not forget, was inflated by fiscal changes that happened in the Netherlands, Sweden and Denmark in January ‘16. This growth is even more significant against the backdrop of a stagnating (-2%) automotive market in Europe, making plug-ins the fastest growing segment in the Old Continent. Looking at PEV share, September hit a record 2.2% share, pulling the year-to-date share further up, now at 1.8%. 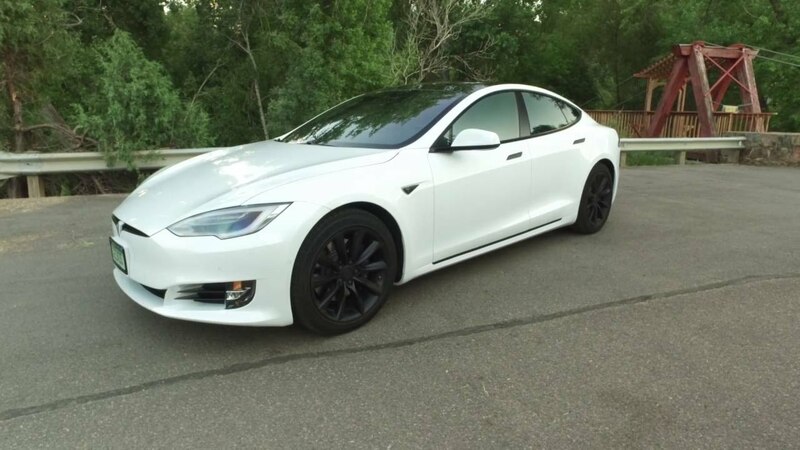 In September, Tesla did its usual last-month-of-quarter peak performance, but this time the tide was higher than usual, with the Model S registering its best result in 18 months, stealing for the first time this year the Best Seller award from the Renault Zoe, and at the same time, the Model X scored a record result, all while the VW e-Golf performed its third personal best in just four months. #2 Renault Zoe – The French hatchback had a rather disappointing September month, growing only 23% YoY, to 2.306 units, and losing for the first time this year the Best Seller of the Month trophy. Deliveries were expected to be higher, especially considering there is a three to four month waiting list to be filled, so there is room for Renault to increase production. As for market individual performances, besides the usual good result at home (1267 units, up 56%), there were also high numbers in countries like Germany (278 units), and Sweden (113 deliveries, new record). #3 Tesla Model X – The Ugly Duckling of the Tesla stable had an opportunity to shine in September, growing 42% YoY to 2.137 units and ending the month in the podium. With record sales in important markets like Norway (996 deliveries) and Netherlands (244), the SUV-Minivan-that-thinks-is-a-sports-car is profiting from incoming improvements (eg, second and third row seats are now foldable…) and might start to leave the long shadow of the Model S older brother. #4 Mitsubishi Outlander PHEV – The Japanese SUV sales were down 11% YoY, to 2.080 registrations, but despite this setback, the Mitsubishi model continues to profit from its unique mix of space, AWD, range (50 kms NEDC) and affordability (40.000€), that makes him popular in markets like in the UK, Norway, Sweden, Iceland or Germany. In the long run, it is not certain that the Japanese SUV can keep up with the general growing sales trend and stay among Europe’s top sellers. A lot to talk about in the YTD ranking, if the Renault Zoe remains stable in the lead, the remaining positions had plenty of changes, starting with the BMW i3 (2025 units, best month since March) recovering the Silver medal from the Nissan Leaf, now entering on the “sunset phase”. With the Outlander PHEV less than a thousand units behind, we might even see Mitsubishi’s SUV drop the Leaf to Fourth before December. Other models on the rise are the Tesla Model S & X, with the first climbing to #5 and the second to #8, while the VW e-Golf joined the Top 10 at #9 and could reach as high as the Sixth position by year end, maybe even a podium place next year. In the second half of the Top 20, we see the Golf GTE and Volvo XC90 PHEV hitting year best performances, and a hot seller is bubbling up, with the #29 BMW 530e (679 registrations) climbing one position and looking to climb a few more in the future. Outside the ranking, the Streetscooter Work delivery van deserves a special mention, having registered 852 units in September, thus becoming the Best Selling model in its category that month. Looking at the manufacturers ranking, BMW (20%) is seated at the Iron Throne, followed by Renault (13%, down 1%) in Second Place, while a recovery-mode Volkswagen (13%, up 1%) is now firm in Third Place, less than 2000 units behind the French manufacturer. Will we see VW reaching Silver next month? The Italian PEV market is increasing the pace, in September sales went up 74%, to 523 units, pulling the YTD tally to 3.503 units (+70% YoY), although the 2017 PEV share is still at a low 0.2%. With last month closing at only 0.3%, Italy needs to step up registrations significantly, if it wants to catch the fast running plug-in train. While growth is always good, especially in a low share market like this one, it is sad to see that this previously BEV-predominant market now dominated by PHEVs (59% share), which are growing faster (+85% vs +50%) than BEVs. Further proof of the PHEV rise is visible in the models ranking, with the BMW 225xe Active Tourer reaching the leadership, thanks to 89 deliveries (Best performance in 19 months), displacing the veteran Nissan Leaf to Second Place. 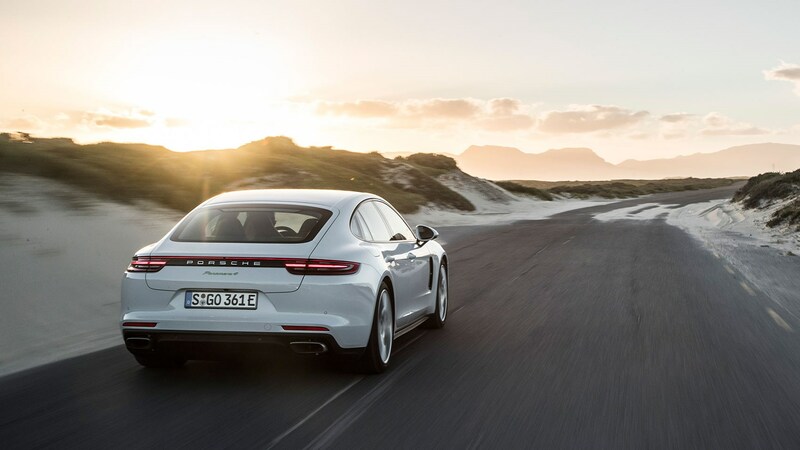 The other headlining change was the hot selling Porsche Panamera PHEV registering 25 deliveries and jumping to #12, while another large car made an impression in the second half of the ranking, with the BMW 530e delivering a record 21 units and climbing to #19, with a Top 15 place possible until year end. Looking at the manufacturers ranking, BMW is in the lead, with 41% share, followed by Nissan (17%) in a distant Second Place, while Mercedes (16%) is looking to surpass the Japanese automaker soon.